Chickamauga Battlefield. Photo courtesy Denise Olson. Kathy Stickney graduated from Florida State University with a Bachelors degree in elementary education and a Masters degree in library science. She has been researching her family for 18 years. Her mother’s father’s family came from Germany and she has researched them extensively both in this country and in Germany. Most of her father’s family fought for the Confederacy during the Civil War. She has methodically researched and written magazine articles about their involvement in the war. Her novel on them titled For Those I Love was released by Tate Publishing and Enterprises, LLC in August 2013. Kathy is a graduate of The National Institute on Genealogical Research in Washington, D.C. and The Institute of Genealogical & Historical Research at Samford University. Kathy has had articles published in The Florida Genealogist, Everton’s Genealogical Helper, Alabama Genealogical Society Magazine, The Patrick Henry Orator(quarterly publication of the Henry County Historical Group), the Ohio Genealogical Quarterly, the UDC Magazine, and the NGS Magazine. Kathy has combined her love of genealogy with her love of scrapbooking and has done several heritage scrapbooks. 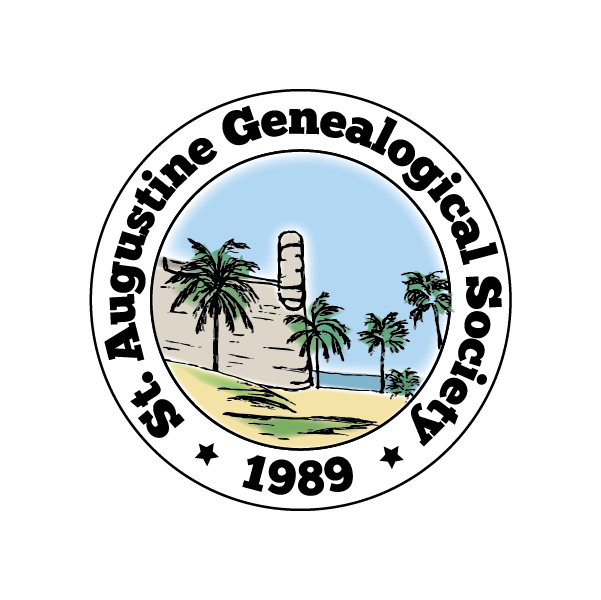 She is a member of the Florida State Genealogical Society and serves as a member of the FSGS Pioneer Descendant Certification Committee. Our meeting will begin at 10:30am. The public is welcome and refreshments will be served.